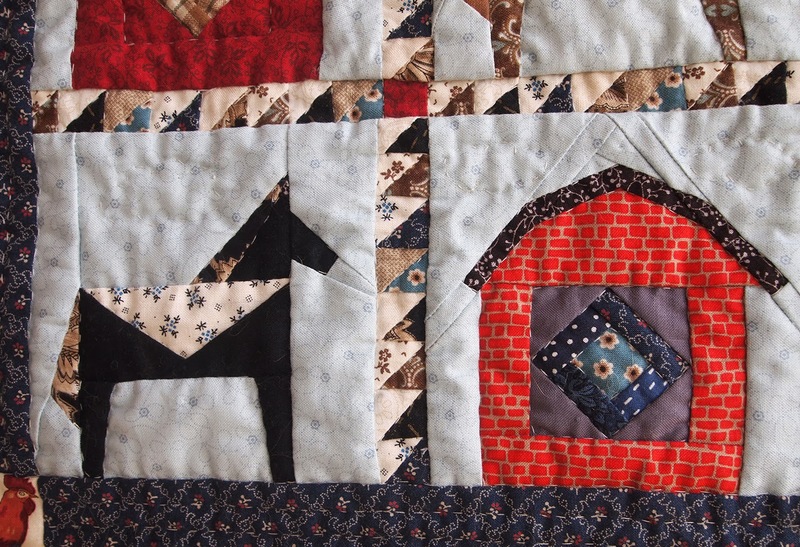 It's hard to believe that it has almost been 6 years since I launched ProtoQuilt. For this year's resolution, I'd like to start quilting again and hopefully design some more fun patterns for you guys! To start off this year, I went through my old patterns and decided to give away two patterns that weren't getting a lot of attention. You can even turn it into a wall organizer! 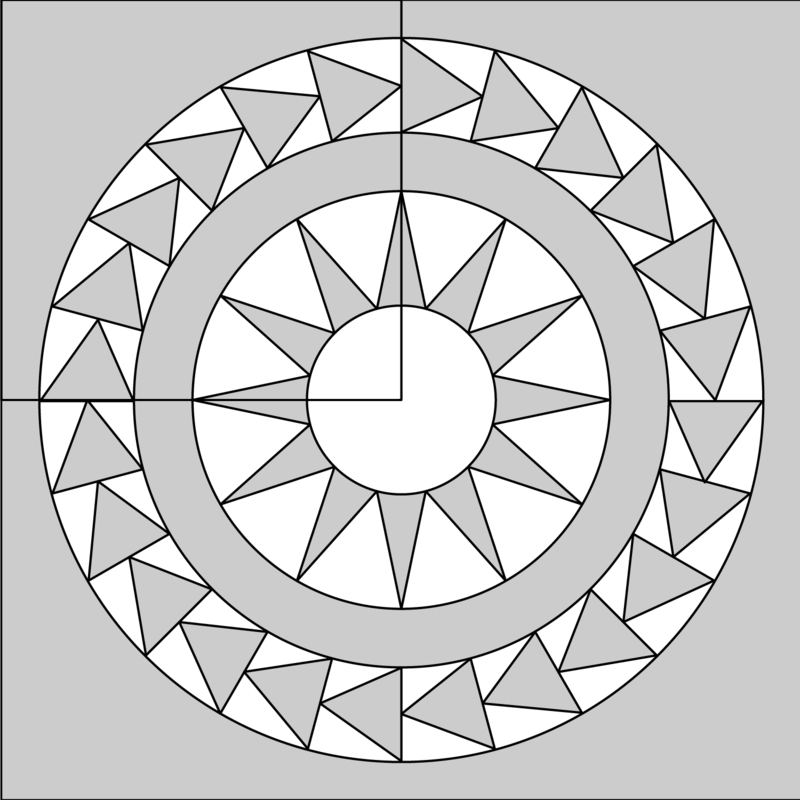 These patterns can be found under the tab "Free Downloads." 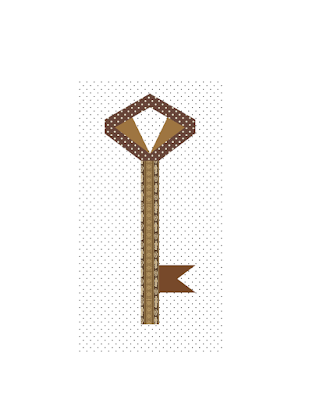 If you like my Antique Key pattern 2, you might also like my original one that has a more traditional key shape. 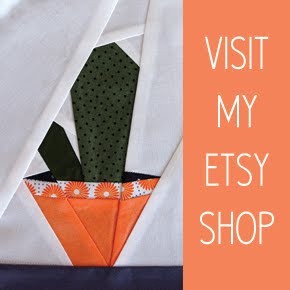 I'll link to my Etsy listing here. I'm looking forward to accomplishing a lot more for ProtoQuilt this year. Happy New Years and thanks for sticking around! Soon after finding out that my husband's niece is having a baby, I digged into my pandora box of WIP's and found a project that was perfect for soon-to-be born baby boy. 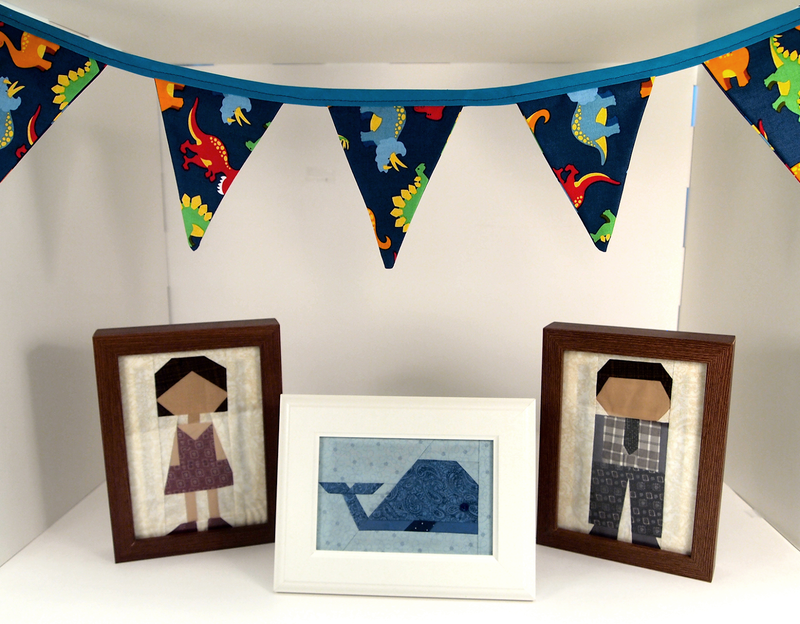 I had finished making half-square triangles with white and blue fabrics a couple years ago. I was originally planning to make a chevron quilt with these, but I got frustrated because the layout wasn't compelling enough. 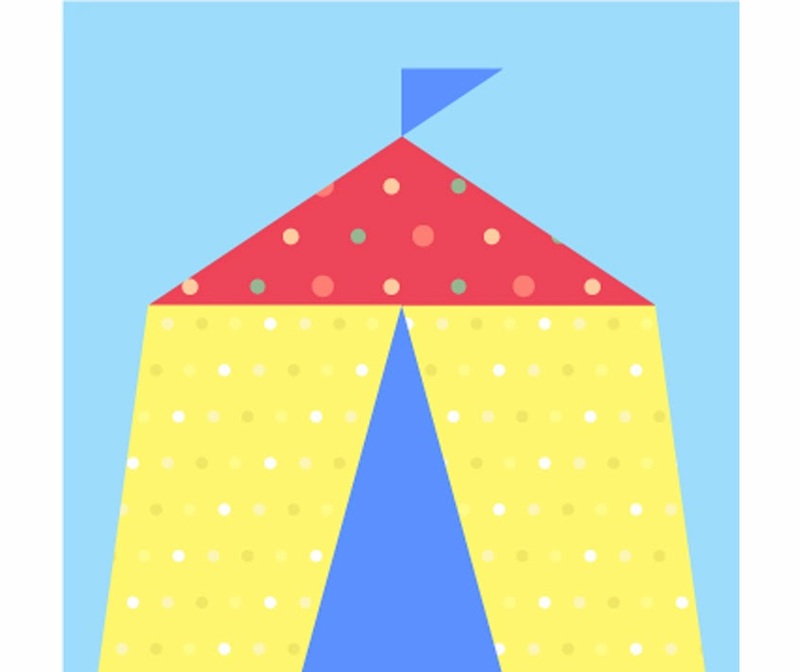 Pinterest is a wonderful platform, and this time I spent a lot of time on Pinterest trying to figure out how to design a more fun, baby-appropriate quilt with these half-square triangles. From there, offset diamond quilts quickly grabbed my attention, and I finally had a direction. 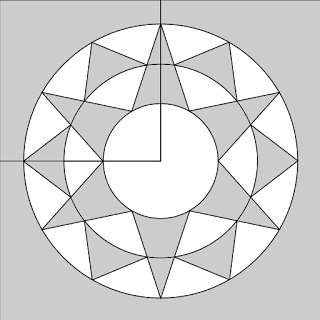 Here is my initial layout of half-square triangles. Plus my lovely Ripley. My cat enjoying the quilt right after I finished it. Completed quilt in better lighting. I hope the baby and mother will cherish this quilt for a long time. 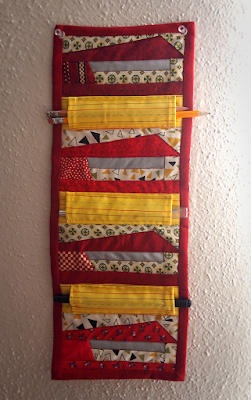 My blog has been dead silent for a couple years, but my quilting/designing endeavors have not stopped. This year, I will try to post more about my ongoing quilt projects and pattern designs. Lately, I have been pretty obsessed with New York Beauty patterns that I've been noticing online. 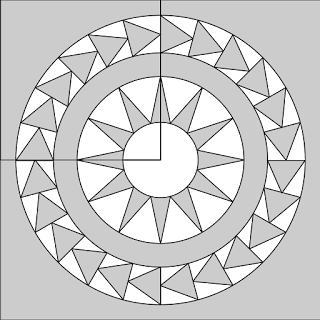 I pieced a compass pattern before, but admittedly curve piecing is super intimidating. I started drawing a couple variations of New York Beauty and finally convinced myself to give curve piecing a go. These are drawings of New York Beauty patterns I came up with. I started with a simpler pattern (one with a lot less triangles). I did get a bit frustrated with my sewing machine when trying to match points. I ended up piecing by hand and it worked out a lot better. 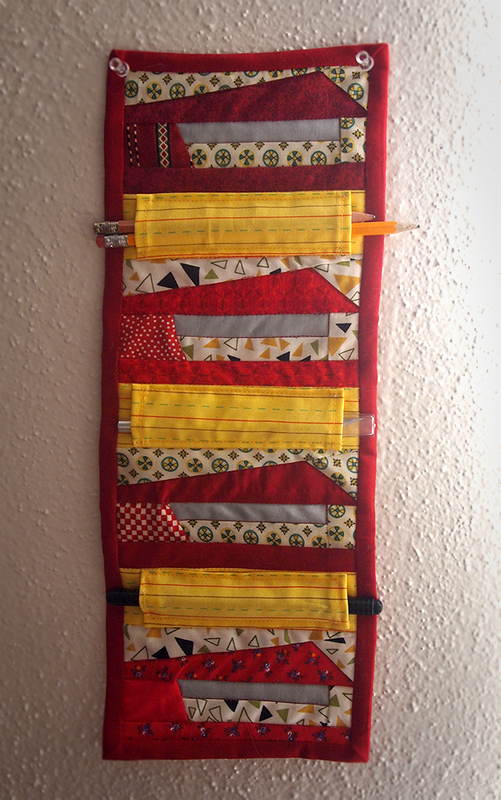 I love my final pot-holder with scrappy binding. Here are the photos of my second pot-holder. My cat was keeping me company for a while. It will take me some more practice to get points to match perfectly, but I'm happy with the overall results. I do want to make a bigger versions of these because, like I said before, I am obsessed with New York Beauty! 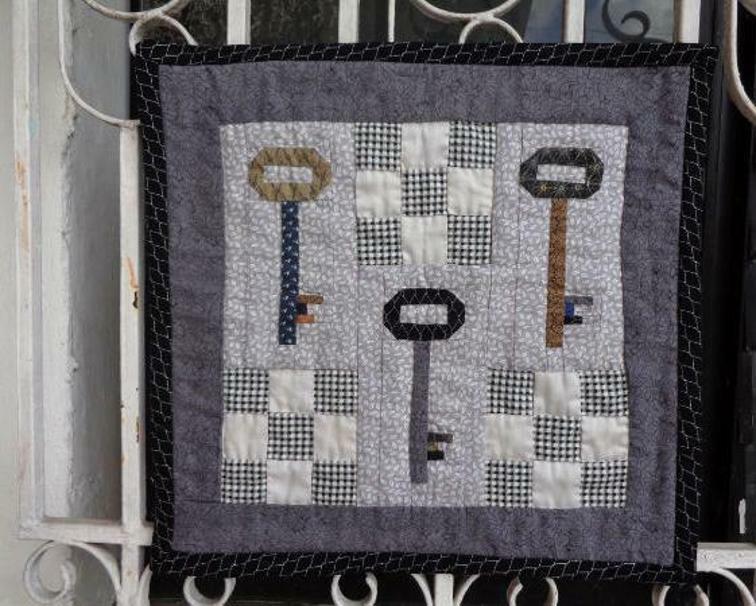 ProtoQuilt is coming to Hauptstrasse QuiltFest! 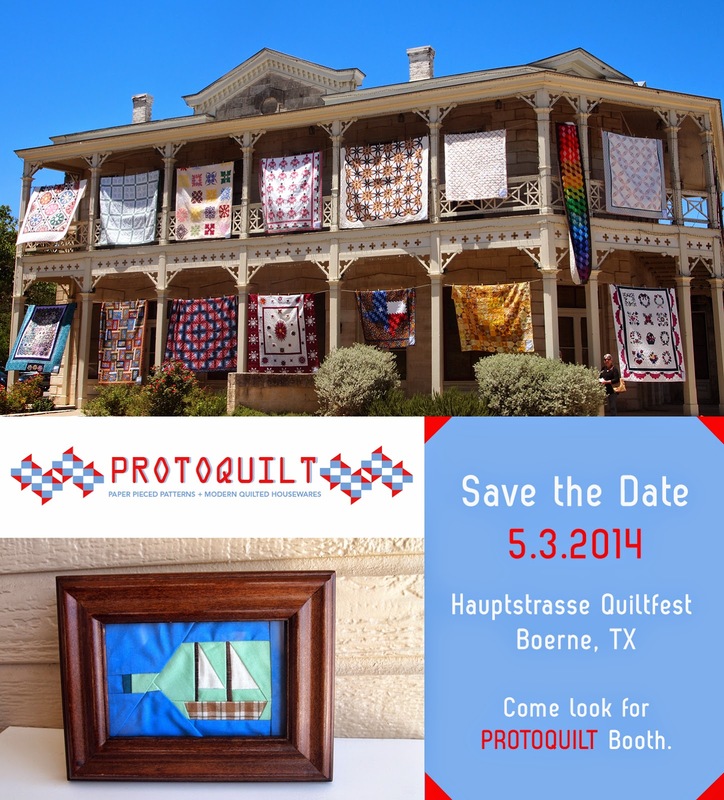 For the very first time ProtoQuilt will be setting up a booth at Hauptstrasse QuiltFest in Boerne, Texas on May 3rd, 2014. That is this coming Saturday! Hauptstrasse QuiltFest is an annual outdoor quilt show in Boerne TX, which is a beautiful small town located only 30 minutes away from San Antonio, TX. Admission is free, and there will also be food, live music, and vendors including me. Last year local antique stores and boutiques had window displays of their merchandise with antique quilts. It was such a treat to be there. Here are more information about Hauptstrasse QuiltFest. At my booth I will be selling my quilt patterns, small and big framed quilts, triangle banners, quilted wrist purses, and many more cool items! 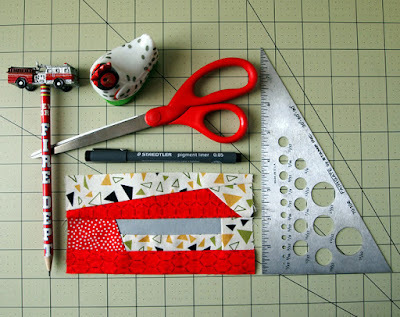 I am very excited to meet other quilt enthusiasts, and perhaps I can introduce paper piecing to new quilters as well. If you live nearby, don't miss out on this fun weekend event, and I hope to see you there! It's been a while since I last posted on my blog, and I have some new patterns. The very first patterned I designed this year was a horse pattern, because 2014 is the year of the horse. 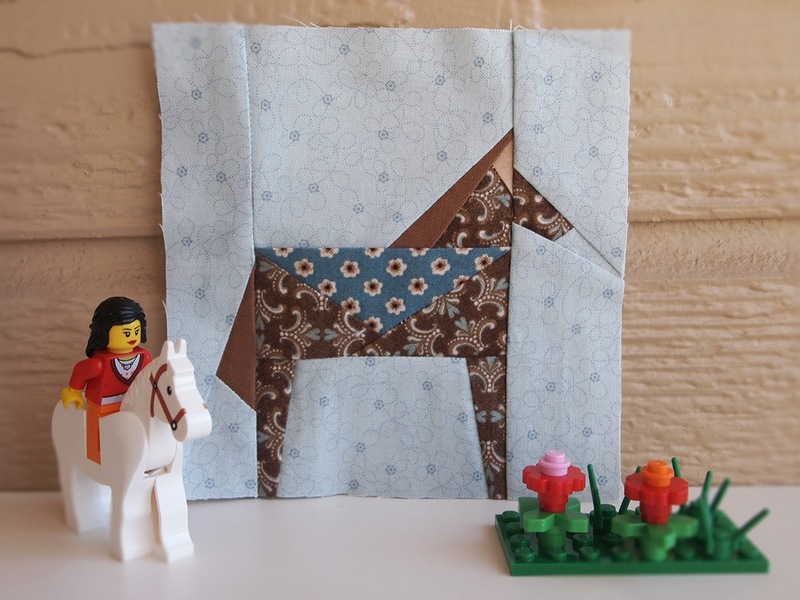 You can accentuate the horse in the pattern by putting a decorative triangular saddle on it and also by selecting slightly different colors for the mane and tail. As a follow-up, I designed a barn to go with the horse pattern. 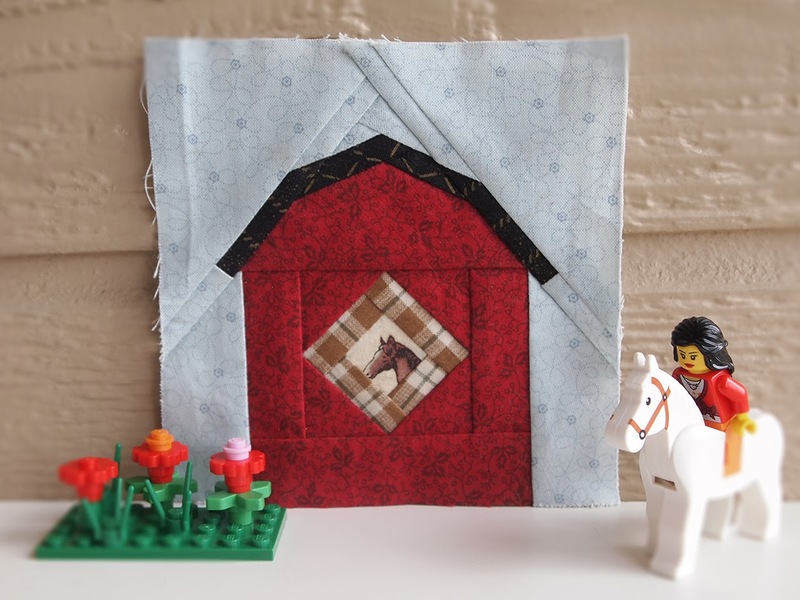 It is a typical barn shape that you would expect, but you can use the center design to make a window (with a peek-a-boo of a horse) or a barn quilt. It is really up to you to play with the pieces. 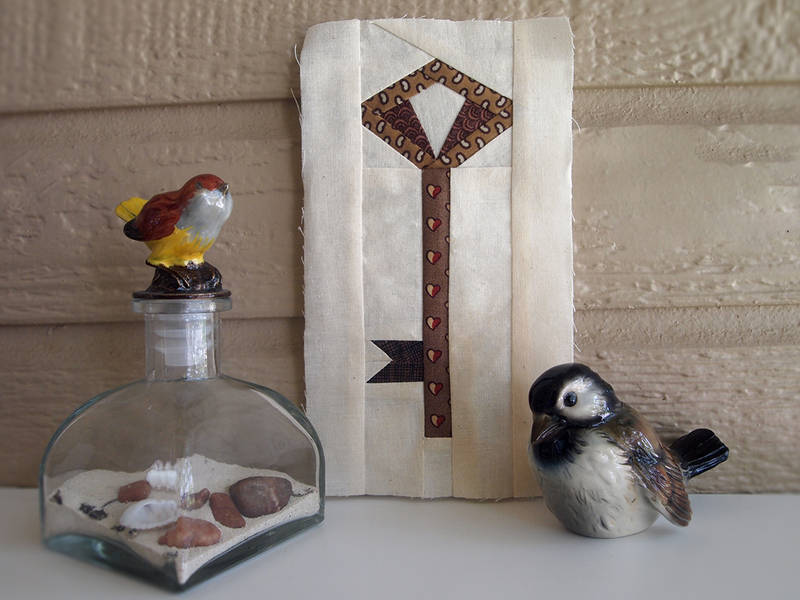 I made two of each pattern and turned them into a little wall hanging quilt. 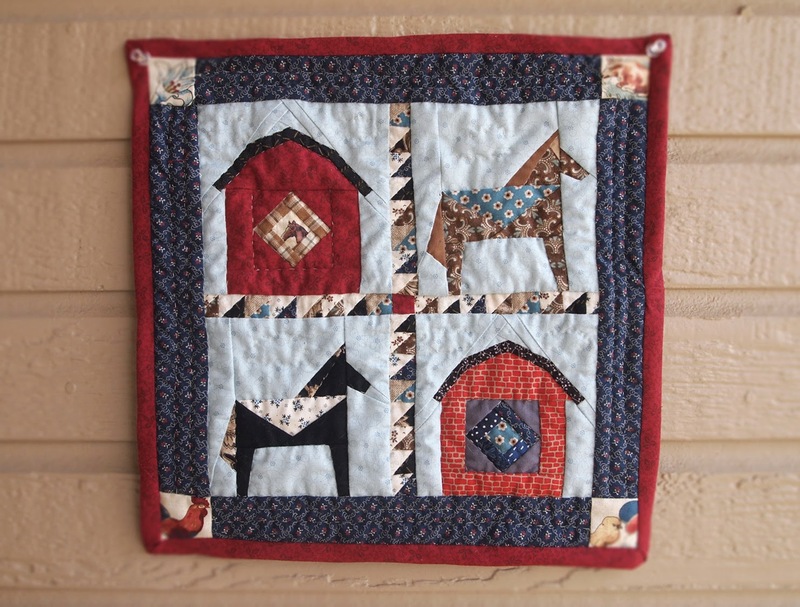 I chose red and blue to be my main colors, yet this quilt would go well with any country style decor. 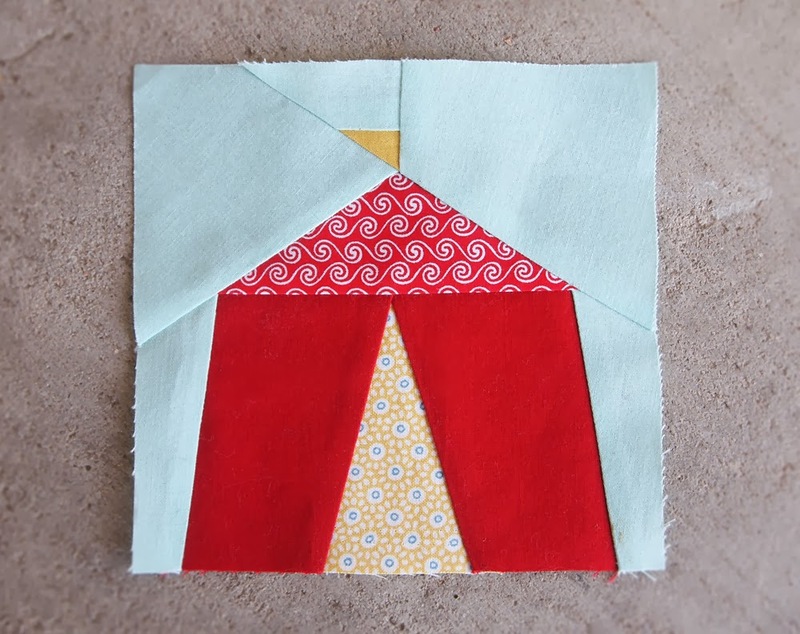 I designed another really easy pattern: Circus Tent block. My camping tent pattern is a very popular free pattern, so I thought I could add yet another flair to the tent. 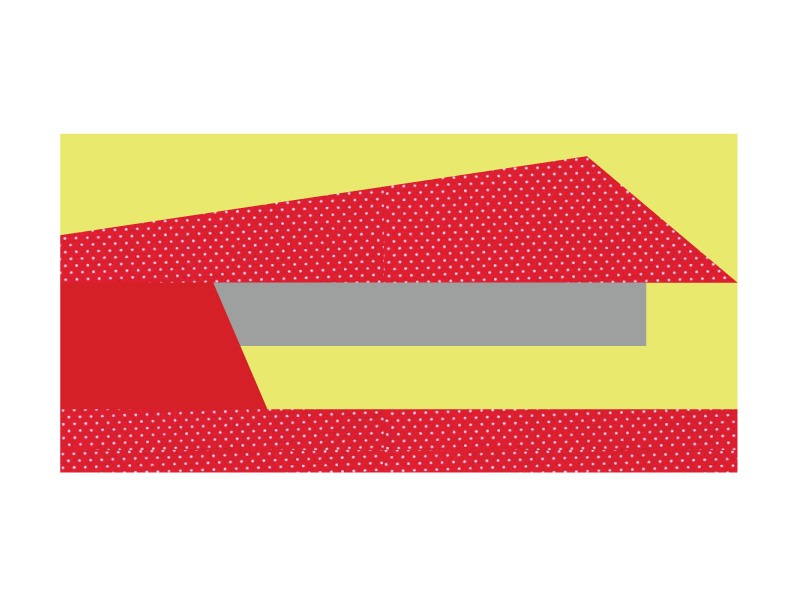 I tried using primary colors: red, yellow, and blue, and it turned out to be a very cheerful and happy block. It only has 10 pieces in total and took me about 20 minutes to make it. I can see it being used in a quilt for little kids with flying geese or some other fun patterns around it. This pattern is free to download. Check out my Free downloads section and scroll all the way down! 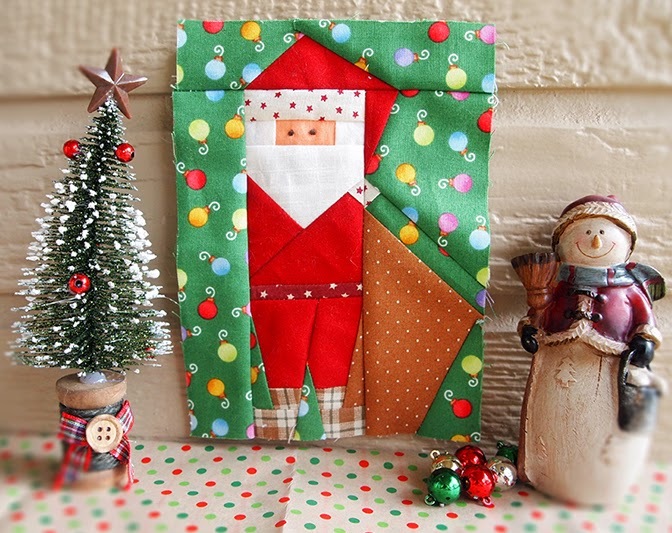 I have made two more patterns for my Christmas collection. 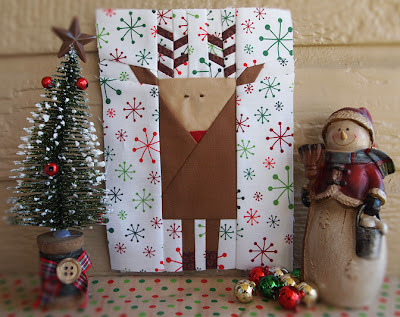 This Reindeer pattern is 5"x7", the same dimensions as my Santa Claus pattern. 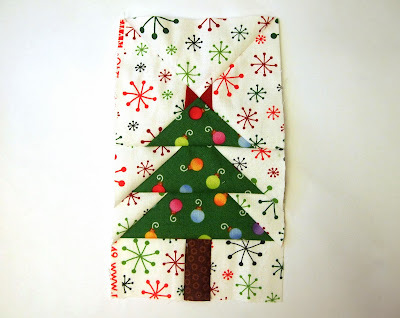 The Christmas Tree pattern is 4"x7." 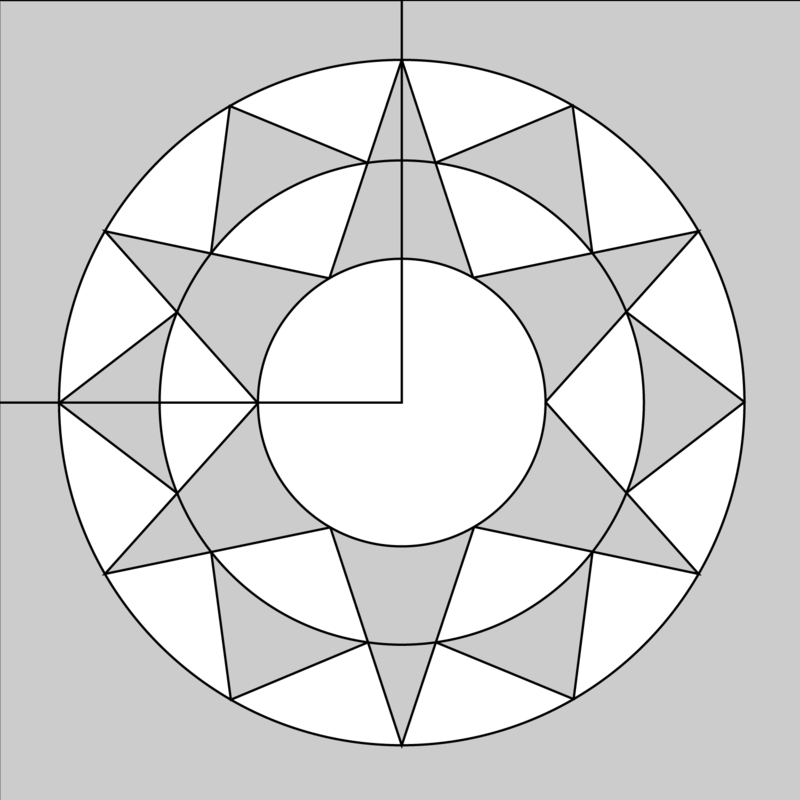 It's the same height as my other patterns, so that they can all go side by side together. 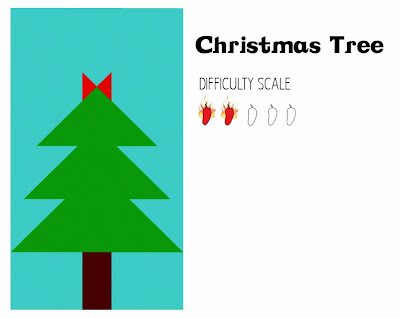 You can now download my Christmas Tree pattern from Free Downloads section. Christmas patterns are coming to town! 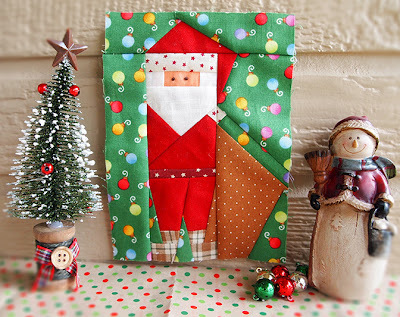 I am planning to make a series of Christmas-themed paper pieced patterns this year, and the very first one that I am presenting is Santa Claus. This one is 5"x7", and it is such a fun pattern to put together. 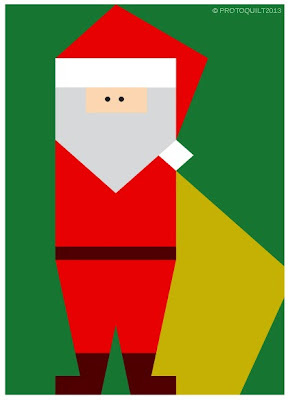 Make sure to use different fabric for the white part of his hat from the beard. 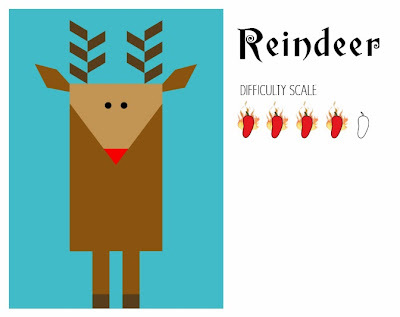 I chose the color green as the background to make the pattern really festive and colorful, but I could also imagine it being light blue to suggest snow. This pattern would be darling to insert into a quilt, pillow, table runner, and more projects. I hope you enjoy it! 2013 ProtoQuilt // Joanne Kim Milnes. Powered by Blogger.